"Aquatica Plus UK ships Aobi® Solar LED Pool White LED Floating Ball Light from Amazon.co.uk. Amazon.co.uk has fast shipping in the UK and often free shipping on pond and aquarium supplies. Add to your basket now while supplies last to avoid delays." This decorative novelty light is sure to be the perfect addition to any pool, pond, or fountain. The light is solar powered, so it requires no wiring. The solar panel is maintance free and charges a compact Ni-MH Battery. At night the Bright LED will shine for up to 4 hours. The Plastic Ball housing is 4.25" in Diameter. The battery in this light is non-replaceable. 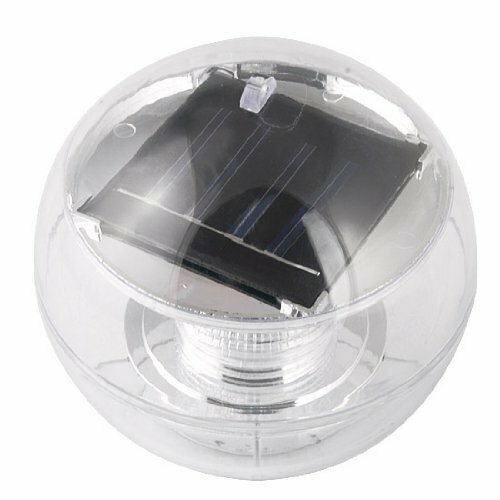 What customers say about Aobi® Solar LED Pool White LED Floating Ball Light? Total rubbish! !… ordered 3 lights I was cracked 1 was broken and 1 OK.. no instructions on how to use… decided to return but when printing out a returns label to find I was posting to China !! gave up the will to live… they are now in the bin!!! !